When an airport is as good as Singapore’s Changi, no one minds a lengthy stopover. 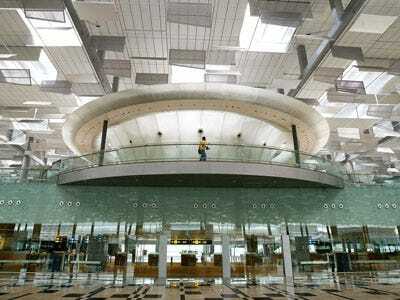 The Airports Council International has passengers vote for the world’s five best airports on the basis of customer service, the terminal buildings, security and comfortable waiting areas. 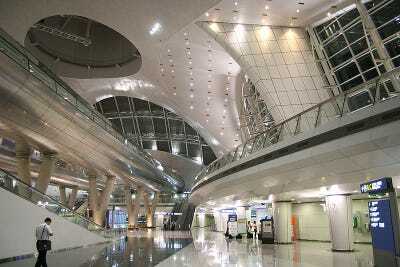 Skytrax has its own ranking as well for the best airports and the two lists coincide well. For the past few years, airports in the Asia-Pacific have consistently ranked within the top three. Skytrax gives Singapore’s Changi five stars out of five, but other hubs are keeping the competition interesting. It is one of the largest in the world and has been ranked the best in the world by ACI since 2005. Skytrax gives it perfect scores for terminal ambience and decor, customer service counters, restaurant and shopping facilities, and quiet areas. There are also 24 hour playrooms for children and an electronic game room and Internet lounge for older kids. In 2020, it could see as many as 100 million passengers annually. The Swiss are not only good at making chocolates. They also build mean airports. 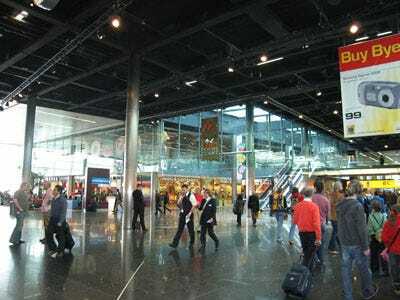 The Zurich Airport has won the World Travel Award for six years for its standards, which include showers in the passenger area for those who want to freshen up between flights. Europe's third largest, Amsterdam Airport Schiphol has a large rooftop viewing area called the Panoramaterras that the public can enter, free of charge, from the airport's landside. It is also the first airport to have a museum in its terminal. The Rijksmuseum operates an annex at the airport, welcomes visitors free of charge, and offers a small overview of both classical and contemporary art. Madrid Barajas International is Spain's largest airport, and its newest Terminal, completed in 2006, is one of the world's largest (760,000 square meters) and most beautiful. 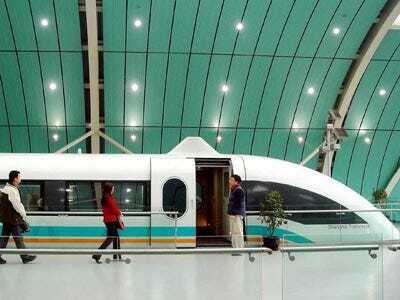 It provides passengers with a low-stress environment through careful use of illumination, glass panes instead of walls, and numerous domes in the roof that allow natural light to pass through. 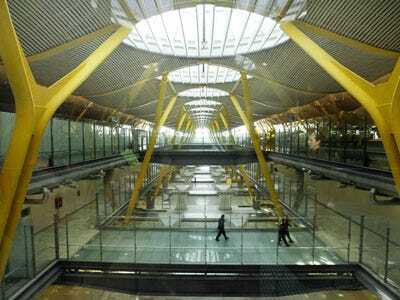 Barajas was also voted 'Best Airport' in the 2008 Condé Nast Traveller Reader Awards.